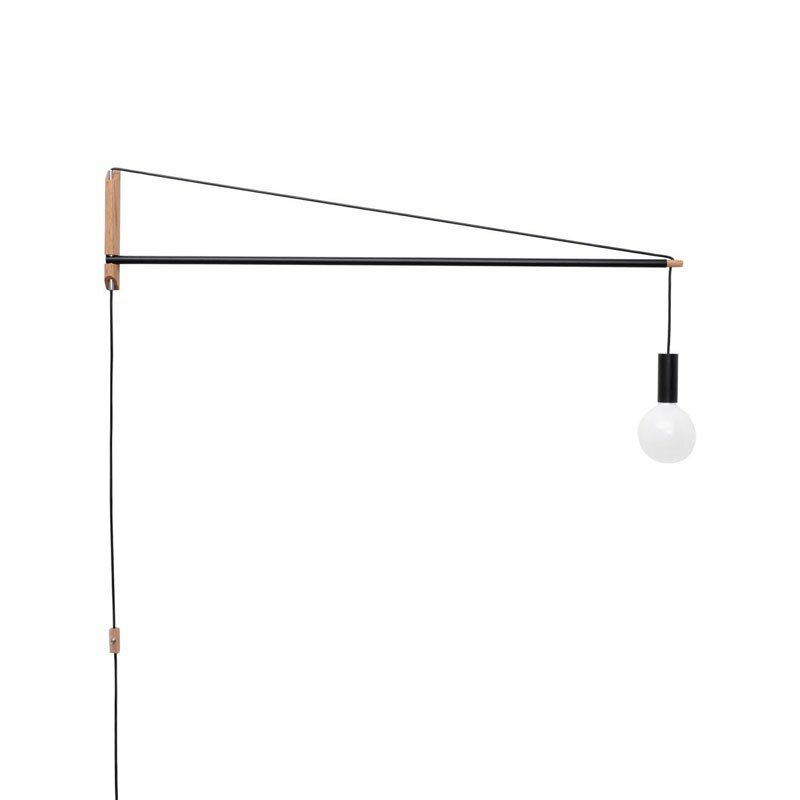 Simple yet functional, the Andrew Neyer Crane Wall Light adjusts to your lighting needs, able to be swung left to right on a 180 degree plane. Designed with a cord tension cantilevered system, the Crane is unmatched in balance and function. Outfitted with a lengthy cord, simply feed the cord through the pivoting rod to lower or heighten the hanging length of the exposed light bulb.